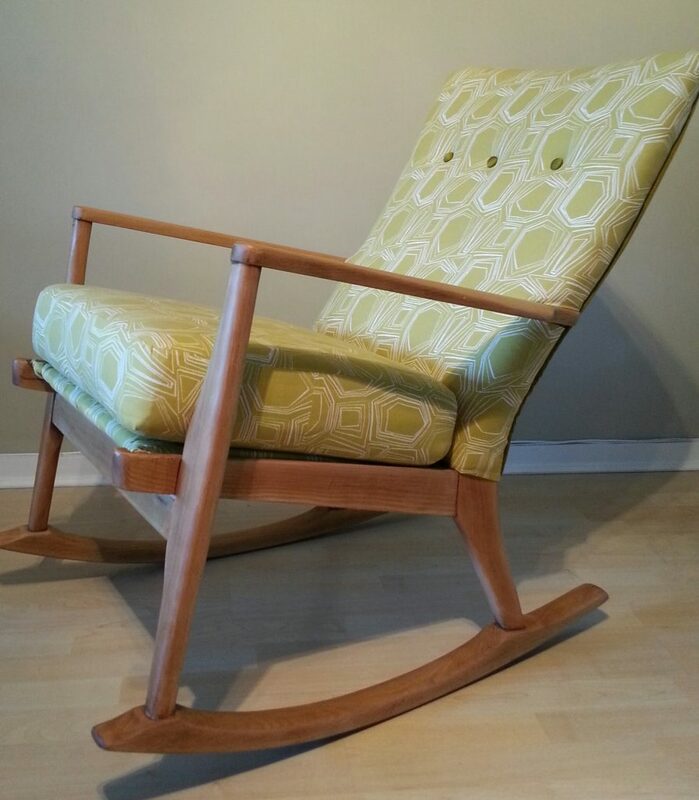 This lovely teak-framed, mid-Century modern, Parker Knoll rocking chair was fully restored. 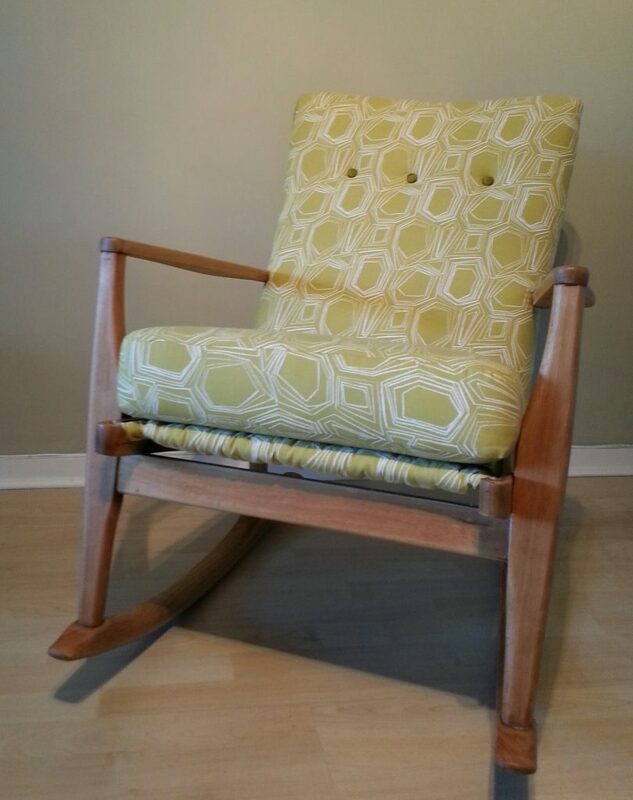 The wood was given a light sand and coated with Danish oil, for a super smooth satin feel. 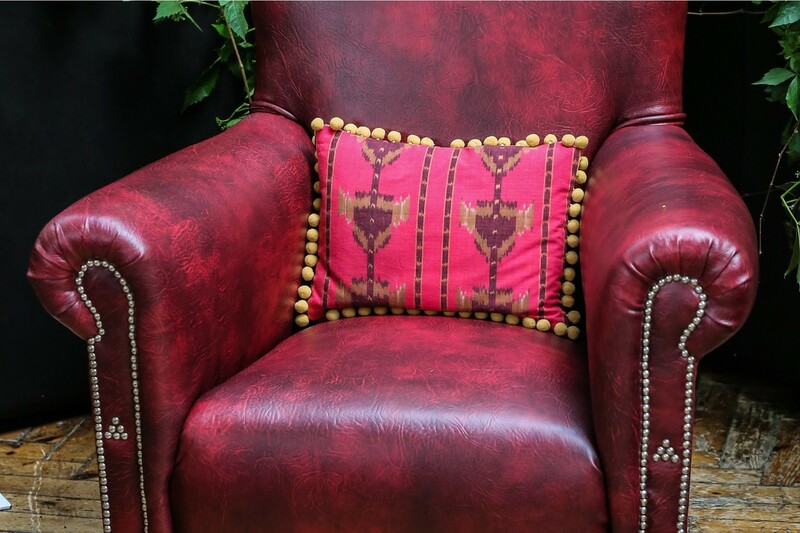 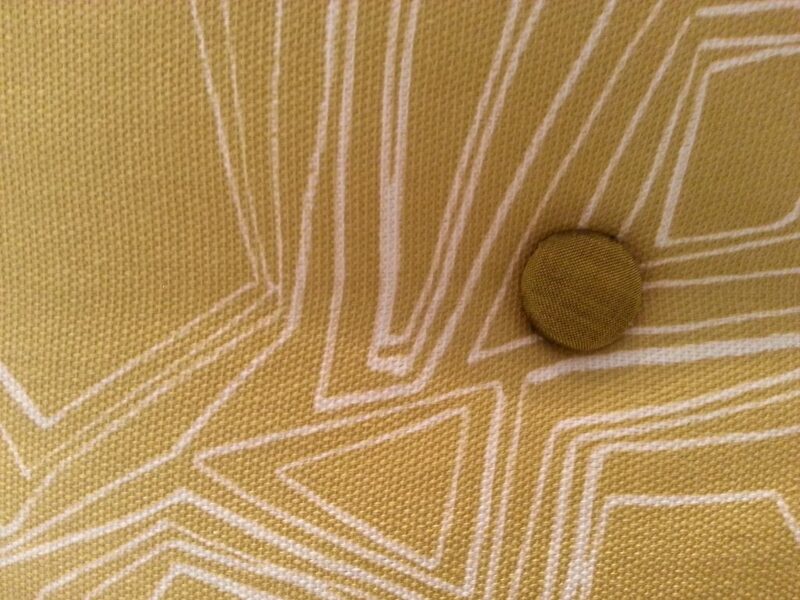 It was reupholstered in chartreuse and cream geometric patterned linen, and finished with chartreuse silk buttons.